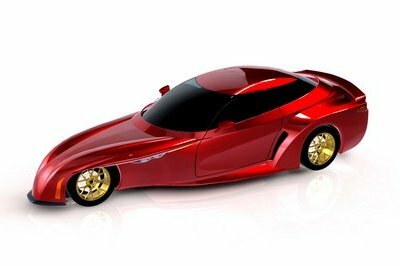 Last week we saw a bunch of great cars debut at the New York Auto Show, while this week we’re going to Shanghai, China, for more new vehicles. 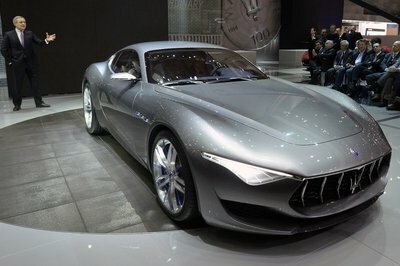 But, while carmakers unveiled their new products in New York and Shanghai, BMW took the wraps of its latest performance car outside these auto shows. 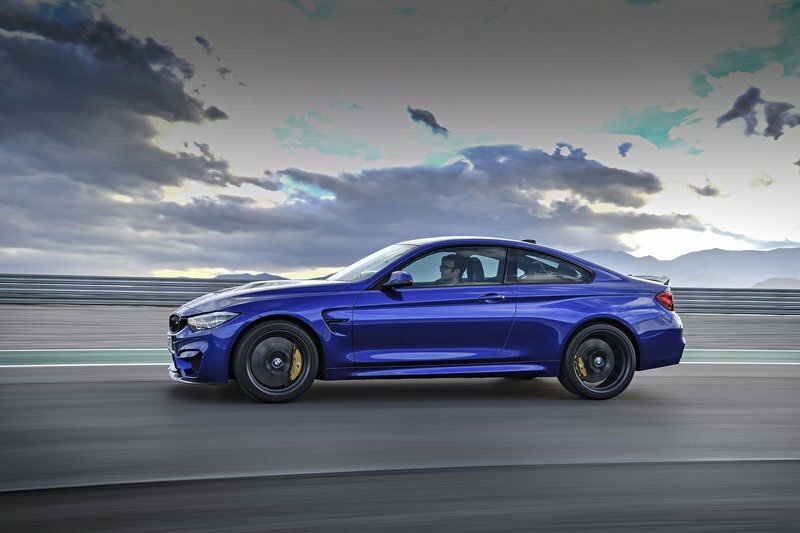 Needless to say, it’s stealing the show because this new car is the highly anticipated M4 CS. Designed to bridge the gap between the M4 with the Competition Package and the wild M4 GTS, this Club Sport-type coupe sports a number of custom features inside and out and a tweaked inline-six engine. On the outside, it’s heavily based on the GTS, sharing almost the same aero kit and design, sans the big rear wing. However, the limited-edition M4 comes with an exclusive front splitter made from exposed carbon-fiber and a redesigned Gurney trunk lid spoiler. It also shares the OLED taillights and the carbon-fiber-reinforced (CFRP) engine hood and roof, which pretty much makes it an M4 GTS without the wing. Things are of the same variety inside the cabin, with the usual M4 interior complemented by race-oriented features like M sports seats trimmed in leather and Alcantara and pull loops on the door panels. The latter are made from compacted natural fibers and have a unique look. Arguably the most important changes were operated under the hood, where the turbocharged, 3.0-liter inline-six engine roars to the tune of 460 horsepower. That’s 10 horses more than the M4 with the Competition Package, but 33 horses less than the M4 GTS. 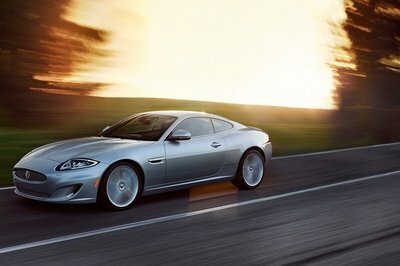 Hitting 60 mph with the standard dual-clutch automatic takes 3.8 seconds, a tenth-second less than the standard M4. The GTS remains the quickest at 3.7 ticks though. 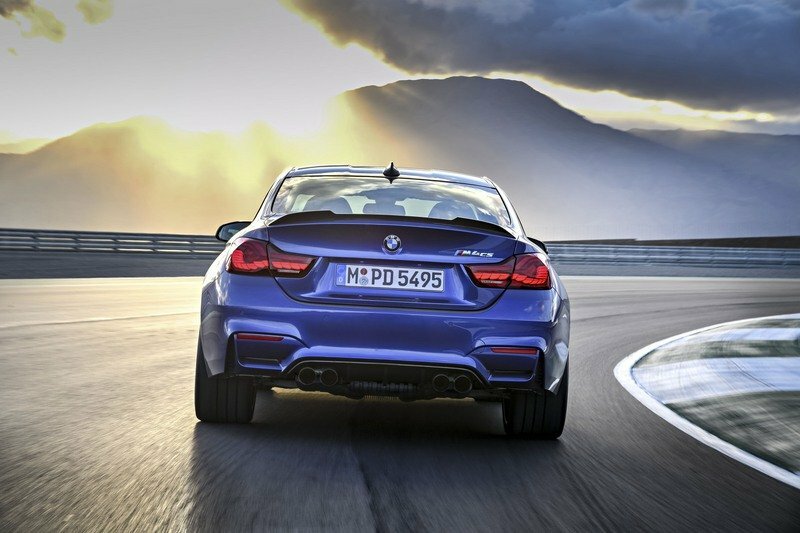 The top speed of the M4 CS remains locked at 174 mph, the same figure you get with the M Driver’s package. That’s 19 mph more than standard top speed of M cars, but its 15 mph below the GTS’. 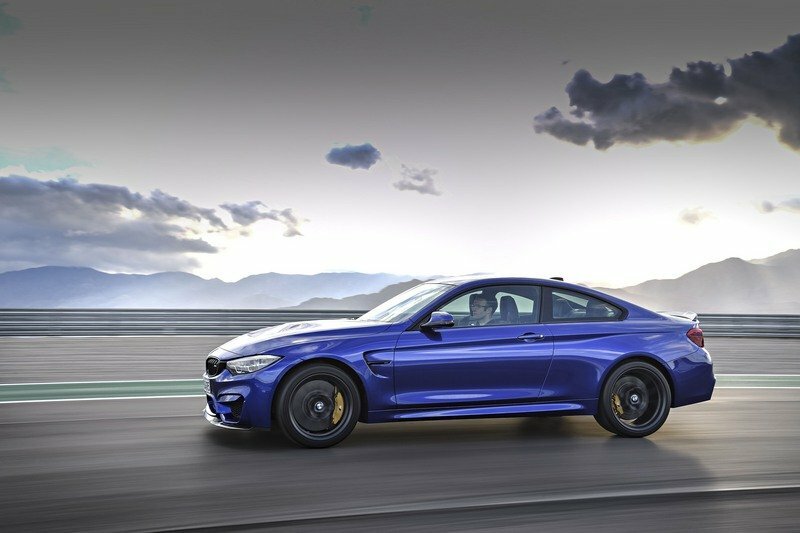 The suspension of the new BMW M4 CS largely mirrors that of the M4 with the Competition Package, but the control systems for the Adaptive M suspension, DSC and Active M Differential have been modified. As a result, the M4 CS lapped the Nurburgring in 7:38 minutes, making it the second-quickest Bimmer on the ’Ring, after the M4 GTS, which is around 10 seconds quicker. 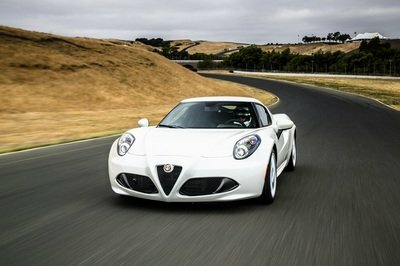 The CS’ time is actually pretty impressive, making it as quick as the Lexus LFA and Lamborghini Gallardo Superleggera. At the same time, it’s quicker than the McLaren Mercedes SLR and the previous-generation Porsche 911 GT3. 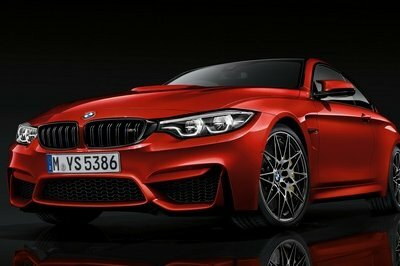 The exclusive, limited-run, M4 CS will be priced from €116,900 in Europe. U.S. pricing and availability is not yet known. Although it’s not as quick and powerful as the GTS, the M4 CS is a nice addition to the M4 lineup. As an authentic club racer, it addresses enthusiasts that find the GTS to be a bit too extreme, but still want a limited-edition sports car that they can take to the race track any day of the week. Despite the expensive sticker, the M4 CS will probably sell like hotcakes, so grab them while they’re hot. BMW M GmbH is presenting another exclusive limited-run special-edition model in the shape of the new BMW M4 CS (fuel consumption combined: 8.4 l/100 km [33.6 mpg imp]*; CO2 emissions combined: 197 g/km*). The M4 CS fills the gap in the line-up between the M4 Coupe with Competition Package and the uncompromisingly track-focused BMW M4 GTS. With its accentuated sporting presence, the new M4 CS continues the decades-long tradition of successful M special editions which began in 1988 with the E30 BMW M3 Evolution. 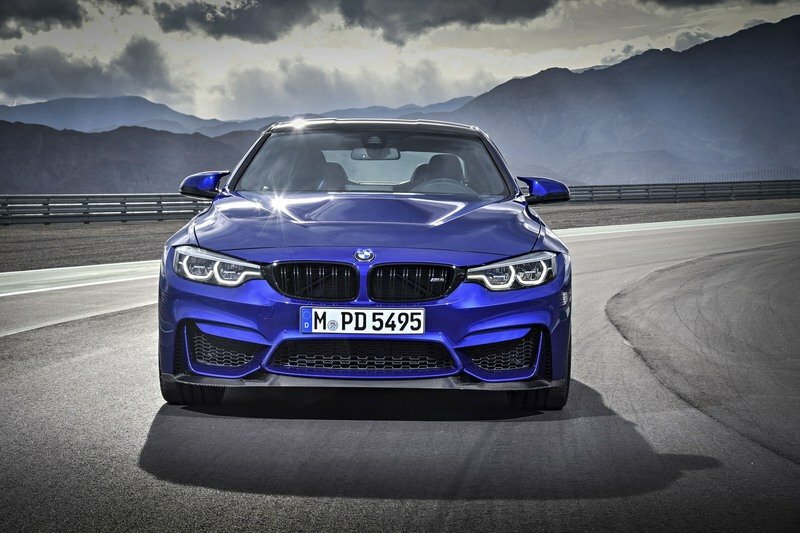 The new BMW M4 CS will be built at the original BMW plant in Munich. The 3.0-litre high-performance engine raises the output of the M4 with Competition Package by 10 horsepower, to 460 hp. State-of-the-art M TwinPower Turbo technology allows the M4 CS to dip below the four-second mark for the 0 to 100 km/h (62 mph) sprint, stopping the clock at 3.9 seconds. The top speed of the M4 CS, which comes as standard with the M Driver’s Package, is electronically limited to 280 km/h (174 mph). With its two mono-scroll turbochargers, charge air cooler, High Precision Injection, VALVETRONIC variable valve timing and Double-VANOS fully variable camshaft timing, the six-cylinder in-line engine and takes a clear and consistent aim at the higher echelons of performance, but is equally committed to developing significant torque from low engine speeds and achieving high levels of efficiency (fuel consumption combined: 8.4 l/100 km [33.6 mpg imp]*; CO2 emissions combined: 197 g/km*).